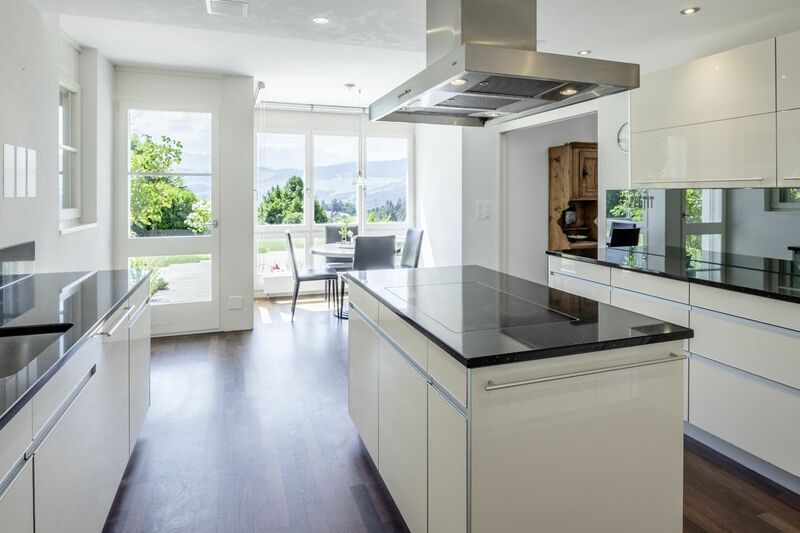 This lavish villa, which from the outside is the definition of understatement, is situated only 6 km from the University of St. Gallen. 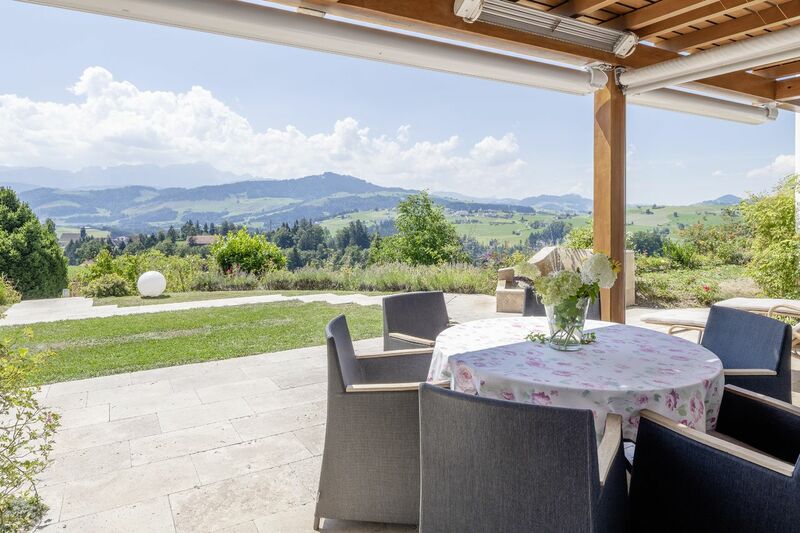 From the living room you have access to the covered seating area with breath-taking views of the Appenzeller Mittelland and the entire Alpstein. On this floor there is a very large kitchen with a storage room, an office, a guest toilet, and a garage for three big cars. The staircase leads to the upper floor with the master bedroom with en-suite bathroom and dressing room. 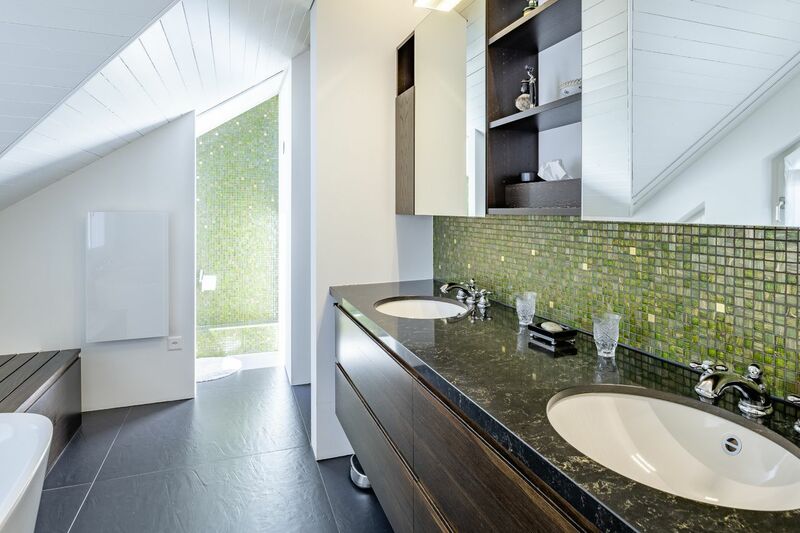 Three further bedrooms with bath en suite are also located in the top floor. Two of the bedrooms on this floor also have balconies, which offer fantastic views. Furthermore, there is an office, four smaller bedrooms, a storage and a bathroom with a separate toilet on this floor. In the basement of the villa you will find the large swimming pool hall with bar. The windows can be fully sunk in the ground, so you can enjoy a clear view of the countryside. A sauna and a fitness room are also provided for your comfort. 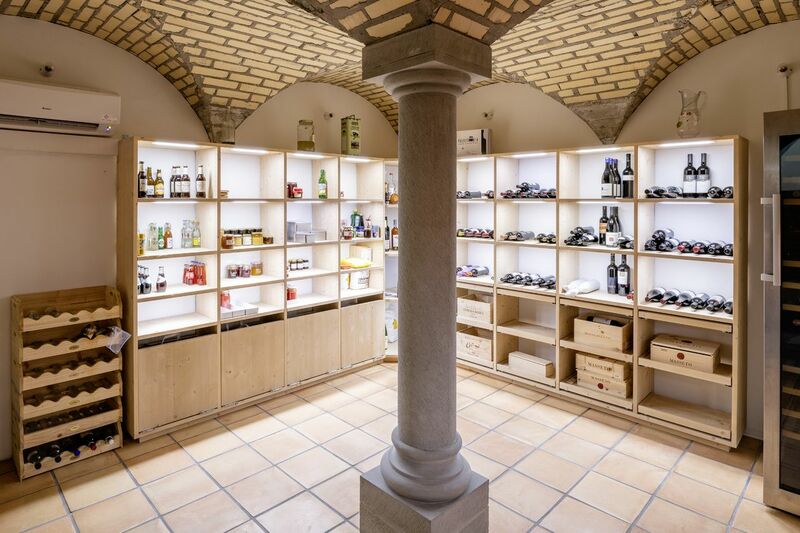 Fine wines are in good hands in the beautiful wine cellar with cross vault. A staff entrance, a delivery entrance and the main entrance allow for private living. The spacious garden with 2'541m² and two seats completes this very exclusive offer.